We created several print pieces that reside in each room. As a luxary element Hollywood Liberty Hotel has provided people with beauty products. 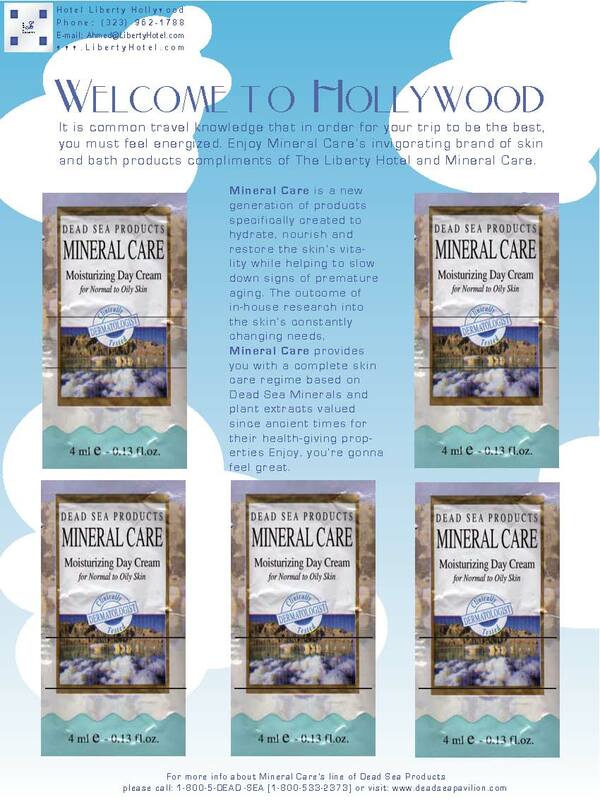 GorillaAd Agency created a collateral display housing these body and face creams that are imported from the Dead Sea. This campaign and other new recommendations turned the hotels general occupancy rate from 34% to 88% within 3 month.